Who is God? That is the question Elizabeth A. Johnson has spent her life exploring. As a Catholic theologian, writer, teacher, and religious woman, Johnson has searched for "the Living God" and ways to understand God that make sense for our time, perhaps most famously in her groundbreaking book She Who Is. Her work is firmly grounded in the Catholic tradition while it explores the edges of that tradition, pushing it to be more inclusive-a project that has caught the attention of other scholars, everyday Catholics, and sometimes critics. Johnson's own relationship with God as Holy Mystery has helped her to navigate her life's challenges, including finding herself thrust into the spotlight as a headline-making symbol of religious women facing challenges from the church leadership. With this first biography of one of the preeminent Catholic theologians of our time, those who have been enriched by Johnson's work will now find themselves inspired by her remarkable life story. Heidi Schlumpf is a columnist for the National Catholic Reporter and freelance writer for CNN Opinion, U.S. Catholic, and other publications. The author of While We Wait: Spiritual and Practical Advice for Those Trying to Adopt, she served as the editor and a contributor to The Notre Dame Book of Prayer. She teaches journalism as an associate professor of communication at Aurora University outside of Chicago. She and her husband, Edmund, have two children. Visit PeopleofGodBooks.org to explore more of the books in this engaging series. You'll find author interviews, videos, reading group materials, and more! As Schlumpf notes throughout this rich and engaging text, her quest for the living God empowered her to enrich the lives of all with who she came in contact, impressing them with her deep and abiding faith in God and her desire to share that love with all. Two words come to mind in reading this biographical sketch of the life and work of Elizabeth Johnson: integrity and courage. As a theologian she witnesses to integrity in her quest to experience and understand the mystery of God; as a religious and fellow pilgrim, her courage and fortitude merit emulation. 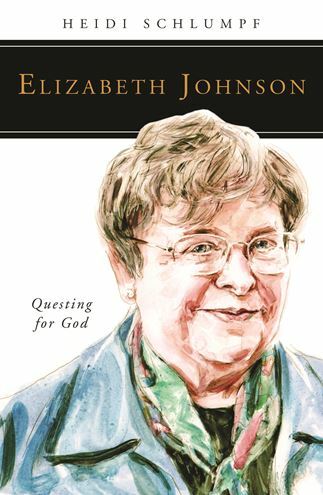 Elizabeth Johnson's ground breaking theological work has nourished me all my religious life. This biography of her describes her journey and profound integrity. Beth's commitment to holy curiosity helps us all move towards insight. This book explains why. This short biography provides highlights in the life of this remarkable woman. Each chapter shows her growth in self-understanding, her heartfelt love for teaching and her students, and her extraordinary writing ability. For anyone who is a fan of Elizabeth Johnson's writing, this brief biography is worth your time.